I have some files and directories and I want to rename those. How can I rename them? or are there any alternative methods? Linux provides different tools and commands in order to rename files and directories. In this tutorial we will examine mv and rename commands. After renaming we may want to see files by listing them. We will use ls to list files. While moving new-file-name may be all ready exist. In this situation mv command by default overwrites. To prevent overwrite we can provide -i option to ask before overwriting. While renaming we can output verbosely to during rename operation. There is command named rename which whole purpose is rename files and directories. Rename command have following syntax. 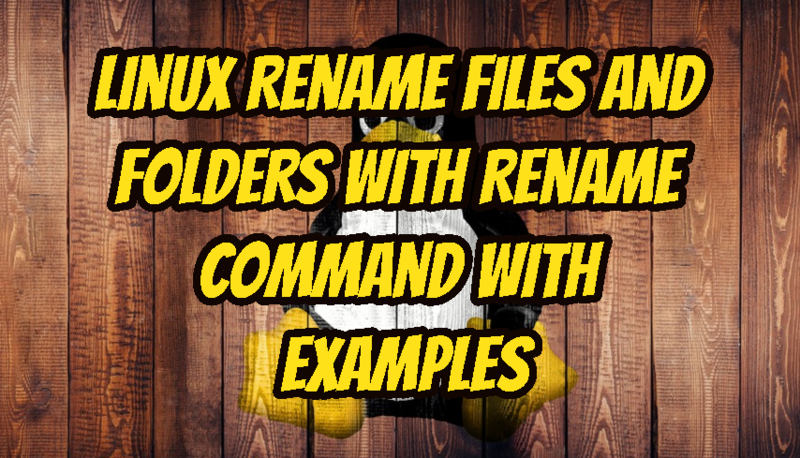 LEARN MORE How To Rename Directories and Folders In Linux? In this example we will change those files who have nix in their named into x .